Ever thought about getting into real estate, but didn’t know what to expect? Our featured guest, Dana Bull, has seen just about everything when it comes to acquiring, rehabbing, and renting properties as a real estate investor. She’s acquired dozens of properties before reaching the age of 28. We invited Dana down to the basement so she could share all the highs and lows she’s experienced along the way. Plus in our headlines segment, we turn our attention to a challenge women face when changing jobs. It turns out, when it comes to small 401k balances, women are much more likely to cash out than man. And in our second headline we’re talking to Laura Boylan from Haven Life about the state of the life-insurance industry. The industry is facing challenges in enrolling more families in life insurance, what’s the deal? After we get through Doug’s trivia question, we’ll throw out the Haven Life Line to Rob who wants to share his own financial book recommendations. And today we saved the best for last with a letter from David who is complaining about Joe and MoneyBall. What large newspaper organization didn’t compete for a Pulitzer Prize until 1961? Rob calls in with his own book recommendations we should be reading. David writes in with some complaints about Joe and Moneyball. Would you move your family into the rough part of town to save money and improve the neighborhood? 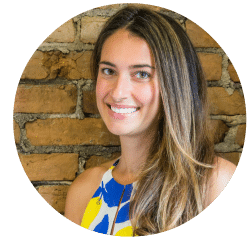 Join us for our interview with Aja McClanahan, from Principles of Increase, who managed to pay of $120,000 doing just that.